Now, researchers have developed a neater new version dubbed MAGESTIC, which they describe as swapping the scissors for a word processor. 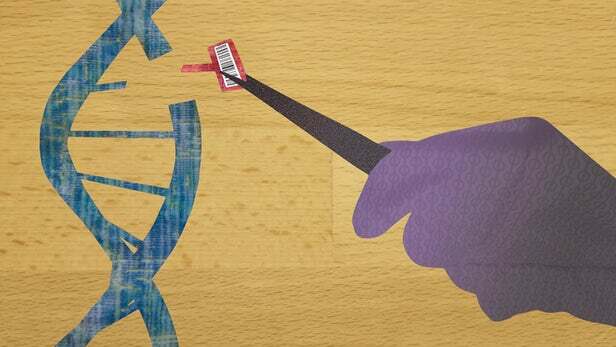 The CRISPR tool uses guide RNA sequences to search through the genome for specific sections of DNA, then uses an enzyme known as Cas9 to remove or modify those genes. This process can be used to remove mutations that may cause cancer or other diseases before they have a chance to cause harm. Crops and livestock could also be made hardier and healthier, and pests eradicated without the use of harsh chemicals. Unfortunately, the process itself may introduce unintended mutations with unknown side effects. The DNA around the cut site may not rejoin exactly as expected, and many cells don't survive the editing process anyway. A recent report suggested that the technique can create plenty of problems, and although this was heavily criticized and later retracted, looking for less invasive alternatives might not be a bad idea. While some researchers are experimenting with ways to manipulate gene expression without making cuts, a team from the Joint Institute of Metrology and Biology (JIMB) has now developed a gentler version of the CRISPR platform that works more like a word processor's "search and replace" function. They've named it MAGESTIC, which apparently stands for "multiplexed accurate genome editing with short, trackable, integrated cellular barcodes." "MAGESTIC is like an advancement in the 'control F' [Find Text] operation of a wordprocessing program, with the replace-text command allowing a desired change," explains Kevin Roy, one of the tool's developers. "This lets us really poke at the cell in a very precise way and see how the change affects cell function. Then we can compare the actual effects of each variant with the computationally predicted effects, and ultimately improve models for predicting how genetic variants impact health and disease." MAGESTIC works its magic in a few ways. Normally, after CRISPR makes a cut, the DNA repair system of the targeted cell reacts to the damage by searching for something to replace it with. CRISPR contains a section of "donor DNA" which is flagged so the repair system copies and pastes it into the cell. The problem is, the cell has to scan through millions of base pairs of DNA to find the right one. So, the JIMB researchers have designed MAGESTIC to hand that donor DNA over to the cut site, making the cell's job easier through a process they call "active donor recruitment." This apparently makes the cell seven times more likely to survive the editing process. MAGESTIC also uses a new type of cellular barcode to keep track of the changes it makes. Rather than the imprecise plasmid barcodes currently used, MAGESTIC integrates its tags into the chromosome instead, which the team says makes them more stable and easier to find and count later on. Since it reduces the number of errors introduced to the genome, the team says MAGESTIC will make it easier for scientists to determine exactly what effects individual changes and genes have. It should also help us understand more about the natural genetic variations we all have, including the ones that make us more or less likely to develop certain diseases. "We are reaching a state where we have not only achieved the ability to sequence the order of base pairs in genomes but we can also make changes to them," says Lars Steinmetz, senior author on the paper. "We still need a better understanding of the consequences of our edits. With MAGESTIC it's like being able to make small edits to individual letters in a book, and being able to see what effect it has on the meaning of the text. Our donor recruitment method also allows the new piece of information to be placed at exactly the right page where the cut occurred."